I enjoyed doing this challenge. It brought back magical memories of childhood. I love mushrooms with fairies — they just belong together. These are the most appealing mushrooms ever! I love the flowers at the bottom, too — and the rain. Hooray! Great interpretation of this challenge. 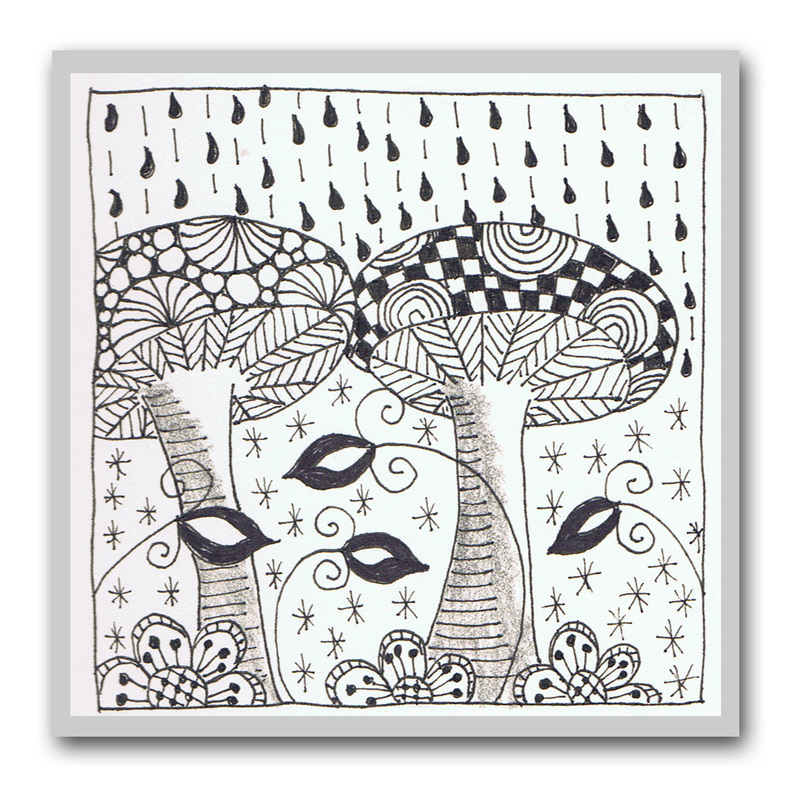 Lovely tangled fairy mushrooms, with great raindrops and fairy sparkles.